The Sciton BBL photofacial system has a number of distinguishing features that provide increased safety for the treatment. It has a large crystal that allows large areas to be treated in one session. The repetition rate is also extremely fast allowing a large area to be treated quickly. As a result, using the Sciton BBL photofacial system, the team at Flower Mound Plastic Surgery and Aesthetic Spa can treat the same area two or even three times using gentler settings instead of once with higher settings. Not only does this make the treatment more comfortable but also safer, as it decreases risks for side effects such as burns, scars, and discolorations. The Sciton BBL photofacial system uses smart filters that can be changed in seconds. These filters allow the team at Flower Mound Plastic Surgery and Aesthetic Spa to change the color of the light that is being used in the treatment. People with darker skin types can be sensitive to certain colors of light while those with lighter skin types can tolerate these colors. 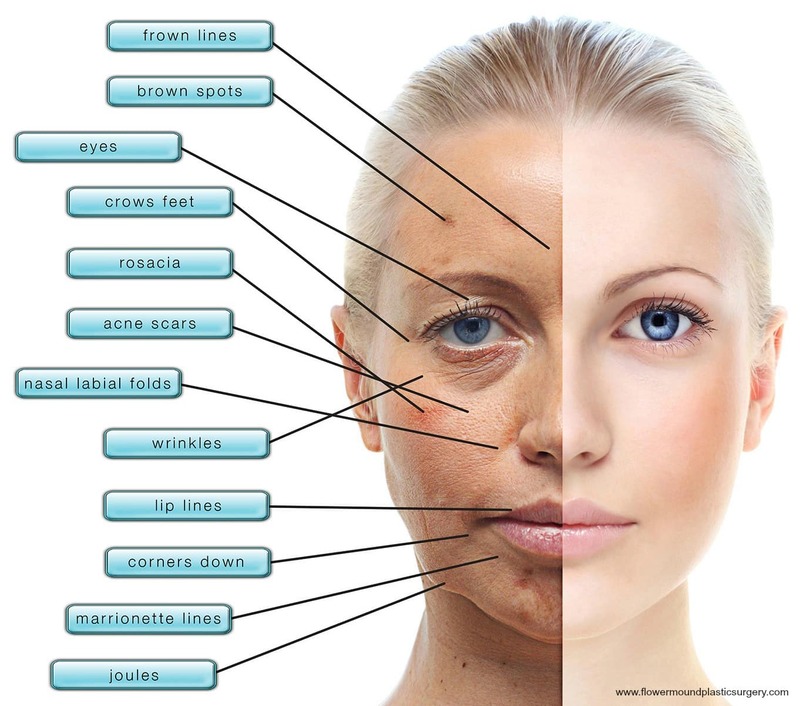 The smart filters allow for safe treatment of many different skin types. The Sciton BBL photofacial system has finesse adaptors such as the small square adaptor and the round adaptor. The square adaptor is one-third the size of the full crystal and allows for effective treatment of curved surfaces such as the forehead. It can also be used to provide stronger settings for improved results while maintaining patient comfort. The round adaptor allows for treatments of small dark spots or broken capillaries without affecting the surrounding skin. Unlike many IPL photofacial devices, the Sciton BBL photofacial system allows the team at Flower Mound Plastic Surgery and Aesthetic Spa to adjust the settings during the treatment. These include the energy setting (fluence), the length of time the light is on (pulse width), and the temperature of the crystal within one degree Celsius. As a result, patients receive the best results with a personalized photofacial treatment performed specific to their skin needs. The Sciton BBL photofacial treatment is one of the most popular treatments at Flower Mound Plastic Surgery and Aesthetic Spa. To schedule a complimentary consultation with Dr. J. Drew Sanderson, please call 972-691- 7900.